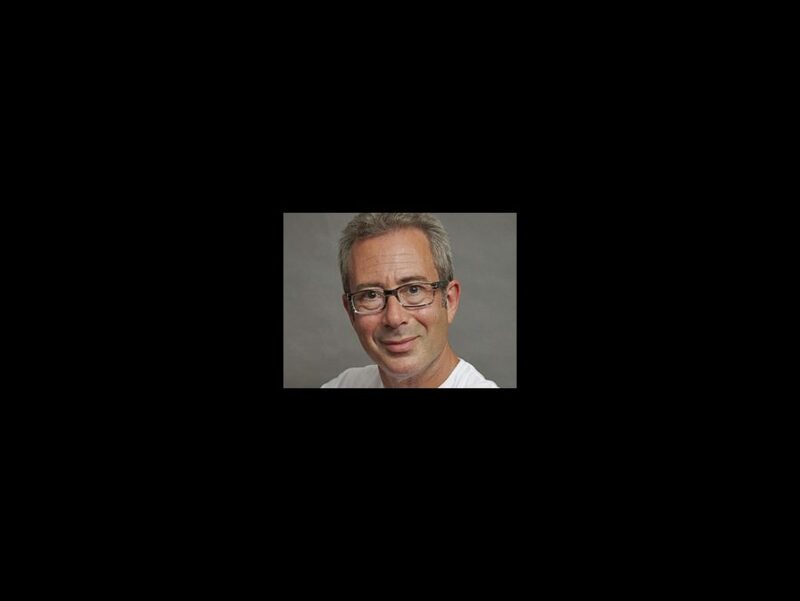 As one of Britain’s top comedians, Ben Elton has been entertaining for over three decades. He shot to fame in the early 1980s writing sitcoms and soon became one of the hottest stand-up acts in the U.K. In addition to authoring over a dozen novels, Elton penned the book to Love Never Dies, the sequel to The Phantom of the Opera, with Andrew Lloyd Webber, but his theatrical endeavors began with We Will Rock You in 2002 as book writer and director. In collaboration with Queen, Elton married dozens of the legendary rock band’s greatest hits with a musical theater narrative that has resulted in an 11-year run in London’s West End (and still counting) and productions around the world. Now, the musical is setting out on its first national tour of the United States. Below, Elton describes what is so magical about the combination of rock and theater, tackles critics of jukebox musicals and explains why We Will Rock You has made all his childhood dreams come true. My first proper experience of musical theater was seeing the original London production of Grease back in 1974. I was 15 years old and instantly hooked. I loved all theater, but particularly musicals. My mates were into the star footballers of the day, but Noel Coward was my hero. I played the Artful Dodger twice in amature productions of Oliver! while I was at school and wrote the books for two student musicals when I was at university. So you can imagine what a thrill it is for me that We Will Rock You is running in the West End, where my passion for the genre began, and it’s been there for the last 11 and a half years! And now we’re touring America, right at the heart of where modern musical theater began! For someone like me, it doesn’t get much better than that. This is to be the first U.S. tour of We Will Rock You and as with all our productions, Queen band members Brian May, Roger Taylor and myself are very personally involved. Queen attended the final auditions with me in New York when we assembled our wonderful cast and Brian will be returning to ensure the spirit of rock stays strong! We Will Rock You has been a big success in the U.K. and around the world, but when we started out, not everyone was as enthusiastic about it as we were. I don’t know about in the States, but back in London, the popularity of what have been dubbed “jukebox musicals” has led to some quite critical commentary over the years. It’s been said that somehow the form is not quite “legitimate,” even that it actually undermines the genre. I don’t really get this. Most musicals are based on some form of non-original source material. Why should it be considered more legitimate to take an old story and add new music than it is to take old songs and add a new story? Surely all that matters is how good a piece of theater results. If it’s OK to base a show around a popular movie or book or even reproduce a much loved animation verbatim, then what’s wrong with celebrating the music we have all been dancing to, punching the air and falling in love to since rock ‘n’ roll began? I actually think it could be argued that classic rock and pop songbooks like ABBA’s or Queen’s have a particularly legitimate place in commercial live theater because, after all, pop music began in theaters. Gilbert and Sullivan, Irving Berlin, Noel Coward and Cole Porter were pop artists, producing what Coward (with heavy irony) described as “cheap music.” Of course, with the coming of radio and an ever more sophisticated recording industry, pop largely moved out of the theaters and onto the air waves. Great music is still written specifically for the theater, of course, but it rarely crosses over into the hit parade as it did in Cole Porter’s day. For the past half century, the majority of hit makers have headed straight for the recording studio. Therefore, isn’t it actually a rather wonderful thing that via jukebox musicals, classic pop and rock are returning to the theater? That once more, audiences can experience it in the same immediate and vibrant atmosphere that such music was once enjoyed? Because let’s face it, “live” rock concerts these days have become an increasingly soulless and alienating experience. Even acts of middling popularity play vast concrete arenas in which the stage can only be glimpsed amid a sea of raised iPhones. In the theater, however, at Mamma Mia! or American Idiot, Jersey Boys or We Will Rock You, people get to enjoy the songs they love as those songs were meant to be heard—in human scale venues with real, live singers and proper live bands. And they get an original story thrown in beside! What—as they say—is not to like? See We Will Rock You at the Boston Opera House from November 5 through 10.